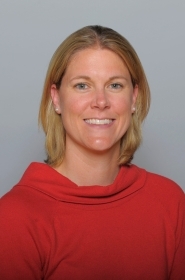 Lizzy Stemke is the head coach of the University of Georgia women's volleyball program. Stemke, the sixth head coach at Georgia since the program's inception in 1978, comes to Athens having spent four seasons as an assistant coach at the University of Nebraska. A former All-American and U.S. National Team member, Stemke helped guide the Huskers to a 116-15 record and four NCAA Volleyball Championship appearances during her time with the program. In Big 12 play from 2007-10, the Huskers went 72-8 with three Big 12 titles. Stemke's roles at Nebraska included serving as the co-recruiting coordinator, offensive coordinator, setter training, video coordinator, academic and community involvement liaison, and assisting with summer camps and coaching clinics. She played a major role in the recruitment of a pair of top-10 recruiting classes, including the 2009 class that was ranked second nationally by Prepvolleyball.com. Her contributions to NU's success were noticed as she was named one of the country's top-10 assistant coaches by Volleyball Magazine in February of 2010. Stemke coached two All-American setters at Nebraska in Sydney Anderson and Rachel Holloway. In 2009, Anderson became a two-time All-American, averaging 11.53 assists per set to help Nebraska to a sixth consecutive NCAA Regional Final. In 2008, Anderson earned second-team AVCA All-America honors ranking eighth nationally in assists at 11.60 per set, as the Huskers replaced four All-Americans from the previous season. In Stemke's first year at NU, the Huskers finished in the top three nationally in assists per set (16.42) and hitting percentage (.327) while Holloway finished her college career ranking ninth nationally with 13.58 assists per set. Prior to Nebraska, Stemke was an assistant coach at the University of North Carolina from 2005-06. At UNC, Stemke served as setters' coach, handled opponent scouting and video exchange, recruiting, team travel and community outreach. In 2005, the Tar Heels won the Atlantic Coast Conference title and advanced to the NCAA Tournament. 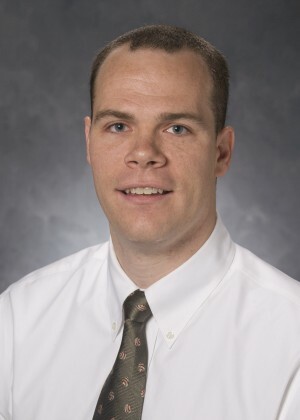 Josh Lauer is the assistant coach at the University of Georgia. His primary responsibilities with the Bulldogs include serving as recruiting coordinator, coordination of blocking and defense and opponent scouting. Lauer joined the Bulldogs after spending three seasons as an assistant coach and recruiting coordinator at the University of Alabama where he helped the Crimson Tide land its first top-30 recruiting class and a trio of high school All-Americans in 2010. "Josh has been highly successful at every level of our sport and will bring experience of training in all facets of the game," Head coach Lizzy Stemke said. "Josh's familiarity with the SEC will also prove invaluable as we work to build the Bulldog program to national prominence." Prior to his stint in Tuscaloosa, Lauer spent four years as the head coach at the University of Missouri - St. Louis where he took his team from the bottom of the conference to a top five standing. The Tritons put together their first 10-plus conference match winning season in Lauer's final year after managing just four Great Lakes Valley Conference wins when he began in 2004. Throughout his tenure at Missouri - St. Louis, Lauer's squads collected numerous team and individual accolades including the American Volleyball Coaches Association Academic Award, the Great Lakes Valley Conference Sportsmanship Award, one ESPN The Magazine Academic All-District Third Team honoree and several all-conference and academic all-conference selections. Lauer's coaching career got started at the club level where he spent eight years with the St. Louis CYC Volleyball Club. He had three top-five national finishes in the open division at the United States Junior Olympic Volleyball National Tournament and two additional top 20 finishes. More than 20 of Lauer's club team players were recruited and played at the NCAA Division I level. • UGA camp staff will also be comprised of Bulldog Players and other qualified coaches. • All Lizzy Stemke Volleyball Camps strive to have a low camper/staff ratio for an efficient and productive training environment. In most small group training sessions, we will have 6-8 campers/coach ratios with an ultimate maximum of a 10:1 camper to coach ratio.